Note this phrase “trade experts.” The closeted Republican, President Obama, doesn’t want experts to explain things to members of Congress, these deals are so bad for their voters back home whom they’re being paid by the government to represent. And, since only members of Congress are being allowed to see the documents (under guard in a congressional basement), and even congressional staffers are generally excluded, members of Congress have no one to advise them on the complex details except the lobbyists who represent the people who fund congressional campaigns. Some of these lobbyists might even have managed to see the documents, because hundreds of international corporations helped the Obama team to draft these documents. When a member of Congress goes down to the basement room to see these documents, members of the Obama Administration are there to answer the congressperson’s questions. If one of these Obama people might happen to lie when answering, the lie cannot be prosecuted, because the Obama Administration prohibits recording devices, so that no record exists of what is being said there. Consequently, no member of Congress has any reason to trust what he or she is being told in that room. Whereas Democrats in Congress tend to be opposed to “Fast Track,” Republicans in Congress have always supported it with near-unanimity. However, some Republicans face such strong resistance from their voters back home, that they lie and say they oppose “Fast Track.” When that congressperson subsequently votes in the Senate or House to pass “Fast Track,” only few of their voters back home even notice. And this increases even more the congressperson’s contempt for his or her voters, that they’re just fools or “suckers.” And this, in turn, reinforces that congressperson’s belief that only his or her rich benefactors should even be of concern at all. But this was already four days after the key vote in the Senate, in which 52 Republicans voted “Yea,” 2 Republicans failed to vote at all, and no Republican voted “Nay” on “Fast Track — in other words, they actually voted to pass into law all of Obama’s international-trade deals. This included Rand Paul, and Lindsay Graham, who are the only two U.S. Senators on that lying list of alleged opponents of “Fast Track.” Voting along with them for “Fast Track” were 13 Democrats. But of the 33 “Nay” votes (the votes against “Fast Track”), 31 were Democrats, and 2 were Independents. None were Republicans. So: Republicans were 52 to 0 in favor, with 2 abstentions; and Democrats were 13 to 31 against. Obama had virtually 100% of the Republicans with him, and he had 70% of the Democrats against him. This is normal for cheating the public. Whereas all Republicans are usually bad, only around 30% of Democrats are. It’s easier being a Republican in Congress — you just do what the people who invested in you invested in you to do. For Democrats, it’s not that easy. Another sign of the phoniness of Republicans who mouth opposition to Obama’s trade deals, is that some of the very same Senators and Congresspersons who have written prominently against these deals, have also helped to pass them into law. Congress has the responsibility to ensure that any international trade agreement entered into by the United States must serve the national interest, not merely the interests of those crafting the proposal in secret. It must improve the quality of life, the earnings, and the per-capita wealth of everyday working Americans. The sustained long-term loss of middle class jobs and incomes should compel all lawmakers to apply added scrutiny to a “fast-track” procedure wherein Congress would yield its legislative powers and allow the White House to implement one of largest global financial agreements in our history—comprising at least 12 nations and nearly 40 percent of the world’s GDP [he’s referring there to only the TPP, but ‘Fast Track’ would also apply to TTIP, with an additional 29 countries and almost all the rest of the world’s GDP]. The request for fast-track also comes at a time when the Administration has established a recurring pattern of sidestepping the law, the Congress, and the Constitution in order to repeal sovereign protections for U.S. workers in deference to favored financial and political allies. 1. Consolidation Of Power In The Executive Branch. TPA eliminates Congress’ ability to amend or debate trade implementing legislation and guarantees an up-or-down vote on a far-reaching international agreement before that agreement has received any public review. Not only will Congress have given up the 67-vote threshold for a treaty and the 60-vote threshold for important legislation, but will have even given up the opportunity for amendment and the committee review process that both ensure member participation. Crucially, this applies not only to the Trans-Pacific Partnership (TPP) but all international trade agreements during the life of the TPA. There is no real check on the expiration of fast-track authority: if Congress does not affirmatively refuse to reauthorize TPA at the end of the defined authorization (2018), the authority is automatically renewed for an additional three years so long as the President requests the extension. And if a trade deal (not just TPP but any trade deal) is submitted to Congress that members believe does not fulfill, or that directly violates, the TPA recommendations—or any laws of the United States—it is exceptionally difficult for lawmakers to seek legislative redress or remove it from the fast track, as the exit ramp is under the exclusive control of the revenue and Rules committees. Moreover, while the President is required to submit a report to Congress on the terms of a trade agreement at least 60 days before submitting implementing legislation, the President can classify or otherwise redact information from this report, limiting its value to Congress. Is TPA designed to protect congressional responsibilities, or to limit Congress’ ability to do its duty? Job loss by U.S. workers means reduced consumer demand, less tax revenue flowing into the Treasury, and greater reliance on government assistance programs. It is important that Congress fully understand the impact of this very large trade agreement and to use caution to ensure the interests of the people are protected. Furthermore, the lack of protections in TPA against foreign subsidies could accelerate our shrinking domestic manufacturing base. We have been getting out-negotiated by our mercantilist trading partners for years, failing to aggressively advance legitimate U.S. interests, but the proponents of TPA have apparently not sought to rectify this problem. TPA proponents must answer this simple question: will your plan shrink the trade deficit or will it grow it even wider? 3. Ceding Sovereign Authority To International Powers. A USTR outline of the Trans-Pacific Partnership (which TPA would expedite) notes in the “Key Features” summary that the TPP is a “living agreement.” This means the President could update the agreement “as appropriate to address trade issues that emerge in the future as well as new issues that arise with the expansion of the agreement to include new countries.” The “living agreement” provision means that participating nations could both add countries to the TPP without Congress’ approval (like China), and could also change any of the terms of the agreement, including in controversial areas such as the entry of foreign workers and foreign employees. Again: these changes would not be subject to congressional approval. This has far-reaching implications: the Congressional Research Service reports that if the United States signs on to an international trade agreement, the implementing legislation of that trade agreement (as a law passed later in time) would supersede conflicting federal, state, and local laws. When this occurs, U.S. workers may be subject to a sudden change in tariffs, regulations, or dispute resolution proceedings in international tribunals outside the U.S.
Promoters of TPA should explain why the American people ought to trust the Administration and its foreign partners to revise or rewrite international agreements, or add new members to those agreements, without congressional approval. Does this not represent an abdication of congressional authority? 4. Currency Manipulation. The biggest open secret in the international market is that other countries are devaluing their currencies to artificially lower the price of their exports while artificially raising the price of our exports to them. The result has been a massive bleeding of domestic manufacturing wealth. In fact, currency manipulation can easily dwarf tariffs in its economic impact. A 2014 biannual report from the Treasury Department concluded that the yuan, or renminbi, remained significantly undervalued, yet the Treasury Department failed to designate China as a “currency manipulator.” History suggests this Administration, like those before it, will not stand up to improper currency practices. Currency protections are currently absent from TPA, indicating again that those involved in pushing these trade deals do not wish to see these currency abuses corrected. Therefore, even if currency protections are somehow added into TPA, it is still entirely possible that the Administration could ignore those guidelines and send Congress unamendable trade deals that expose U.S. workers to a surge of underpriced foreign imports. President Obama’s longstanding resistance to meaningful currency legislation is proof he intends to take no action. The President has repeatedly failed to stand up to currency manipulators. Why should we believe this time will be any different? 5. Immigration Increases. There are numerous ways TPA could facilitate immigration increases above current law—and precious few ways anyone in Congress could stop its happening. For instance: language could be included or added into the TPP, as well as any future trade deal submitted for fast-track consideration in the next 6 years, with the clear intent to facilitate or enable the movement of foreign workers and employees into the United States (including intracompany transfers), and there would be no capacity for lawmakers to strike the offending provision. The Administration could also simply act on its own to negotiate foreign worker increases with foreign trading partners without ever advertising those plans to Congress. In 2011, the United States entered into an agreement with South Korea—never brought before Congress—to increase the duration of L-1 visas (a visa that affords no protections for U.S. workers). Stating that “TPP contains no change to immigration law” is a semantic rather than a factual argument. Language already present in both TPA and TPP provide the basis for admitting more foreign workers, and for longer periods of time, and language could later be added to TPP or any future trade deal to further increase such admissions. The President has already subjected American workers to profound wage loss through executive-ordered foreign worker increases on top of existing record immigration levels. Yet, despite these extraordinary actions, the Administration will casually assert that is has merely modernized, clarified, improved, streamlined, and updated immigration rules. Thus, at any point during the 6-year life of TPA, the Administration could send Congress a trade deal—or issue an executive action subsequent to a trade deal as part of its implementation—that increased foreign worker entry into the U.S., all while claiming it has never changed immigration law. The President has circumvented Congress on immigration with serial regularity. But the TPA would yield new power to the executive to alter admissions while subtracting congressional checks against those actions. This runs contrary to our Founders’ belief, as stated in the Constitution, that immigration should be in the hands of Congress. The Supreme Court has consistently held that the Constitution grants Congress plenary authority over immigration policy. For instance, the Court ruled in Galvan v. Press, 347 U.S. 522, 531 (1954), that “the formulation of policies [pertaining to the entry of immigrants and their right to remain here] is entrusted exclusively to Congress… [This principle] has become about as firmly imbedded in the legislative and judicial issues of our body politic as any aspect of our government.” Granting the President TPA could enable controversial changes or increases to a wide variety of visas—such as the H-1B, B-1, E-1, and L-1—including visas that confer foreign nationals with a pathway to a green card and thus citizenship. Future trade deals could also have the possible effect of preventing Congress from reforming abuses in our guest worker programs, as countries could complain that limitations on foreign worker travel constituted a trade barrier requiring adjudication by an international body. The TPP also includes an entire chapter on “Temporary Entry” that applies to all parties and that affects U.S. immigration law. 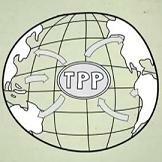 Additionally, the Temporary Entry chapter creates a separate negotiating group, explicitly contemplating that the parties to the TPP will revisit temporary entry at some point in the future for the specific purpose of making changes to this chapter—after Congress would have already approved the TPP. This possibility grows more acute given that TPP is a “living agreement” that can be altered without Congress. Proponents of TPA should be required to answer this question: if you are confident that TPA would not enable any immigration actions between now and its 2021 expiration, why not include ironclad enforcement language to reverse any such presidential action? Our government must defend the legitimate interests of American workers and American manufacturing on the world stage. The time when this nation can suffer the loss of a single job as a result of a poor trade agreement is over. The American people want us to slow down a bit. The rapid pace of immigration and globalization has placed enormous pressures on working Americans. Lower-cost labor and lower-cost goods from countries with less per-person wealth have rushed into our marketplace, lowering American wages and employment. The public has grown increasingly skeptical of these elaborate proposals, stitched together in secret, and rushed to passage on the solemn promises of their promoters. Too often, these schemes collapse under their own weight. Our job is to raise our own standard of living here in America, not to lower our standard of living to achieve greater parity with the rest of the world. If we want an international trade deal that advances the interests of our own people, then perhaps we don’t need a “fast-track” but a regular track: where the President sends us any proposal he deems worthy and we review it on its own merits. And then, he voted, on May 14th, to approve Fast-Track Trade Promotion Authority — he voted for everything that he criticized here. He’s not afraid of what the overwhelmingly white, overwhelmingly conservative, voters back home think, the people who elected him; because, they respect the super-rich, like he does, and the super-rich are the people he serves; so, what’s there really for them to complain about? He comes from a plantation culture, and he does what they do. He’s Republican through and through. John Wilkes Booth’s bullet created the Republican Party that we have today, and he’s typical of it, just a normal Republican. Much like Obama himself is. They merely adjust their rhetoric in order to fool their voters. Professor Obama should write the textbook on it.